Breakfast as early as 4.00am! 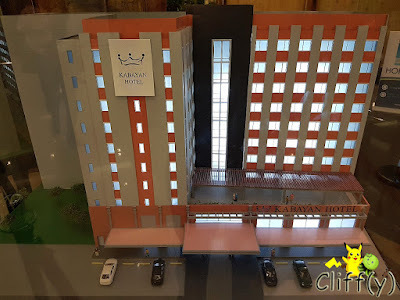 Seeing a good deal online, I decided to book a room at Kabayan Hotel (3*) for my one day transit in Manila, the Philippines. 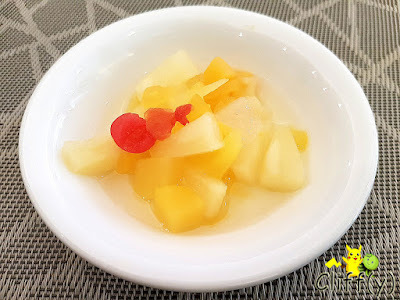 As the hotel doesn't serve buffet breakfast, guests are to choose some items from the a la carte menu that's rotated on a daily basis. 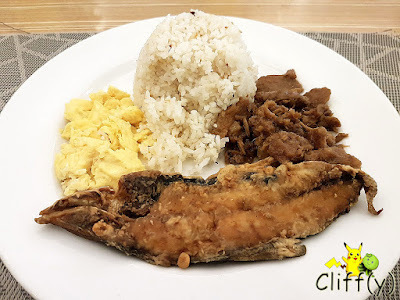 For something local, I ordered a plate of garlic rice with pork tapa (Filipino cured meat), daing na bangus (Filipino fried milkfish) and scrambled eggs. The red meat was acceptably flavourful, while the fish and the eggs weren't that moist. Pika's advice: Do request for more rice if you need as it's free-flow. My BFF requested for the same scrambled eggs alongside pancakes, which were pretty fluffy. They came with butter and a bit of maple syrup. The macaroni soup was enjoyable as it was seasoned well and served piping hot. 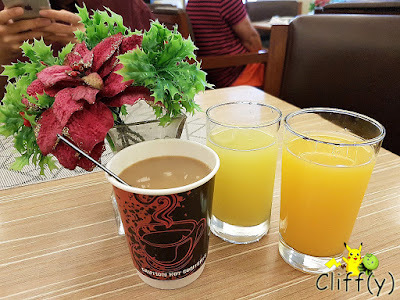 Guests get to enjoy free-flow beverages for breakfast. The orange and mango cordial drinks weren't too dilute, while the coffee was of medium strength. It's certainly helpful for someone who's going to catch an early flight that that breakfast starts at 4.00am daily. 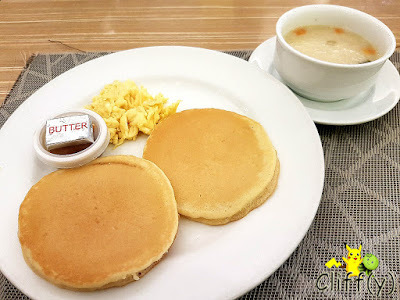 *No separate price given as a la carte breakfast is included in the room price.